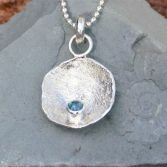 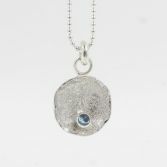 Beautiful London Blue Topaz Cabochon Necklace set into a handcrafted sterling silver Petal setting exclusive JBJ. 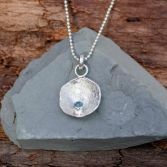 The Petal surface has a reticulated (melted) so it has an interesting dimpled texture which catches the light beautifully. 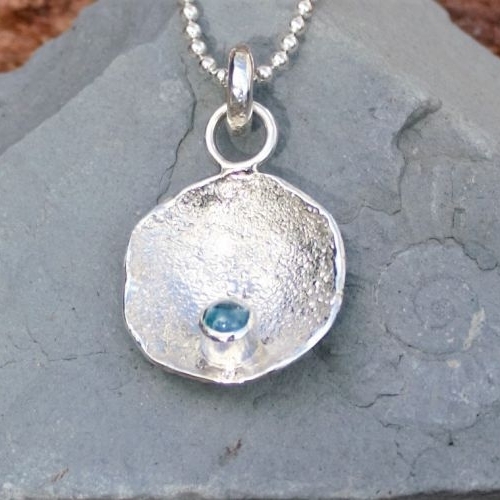 The London Blue cabochon semi precious gemstone is a beautiful rich blue and measure 3.5mm. 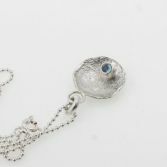 It is hung on a solid sterling silver ball chain with balls that measure 2.0 mm diameters, the. 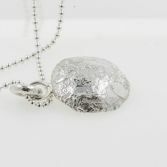 The chain can be worn at 16 inches or 18 inches. 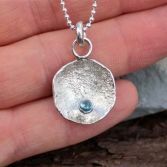 If you would like it with another Gemstone then please do message me. 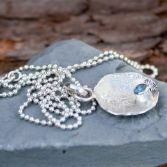 The London Blue Cabochon Necklace will be presented in one of my signature gift boxes and posted via Royal Mail 1st class signed for delivery to any UK address free of charge.